« OK, Giants’ Fans: Shame On Me! 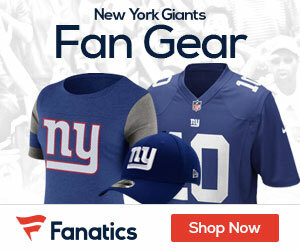 Technically, Thomas signed a new four-year deal with a maximum value of $28 million last season, but the Giants protected themselves against another injury by guaranteeing only the $1 million signing bonus. Thomas’ contract includes a $6 million option bonus in a few months, but the Giants will certainly not exercise it. Thomas will be released, but the Giants are hopeful to resign him. Thomas hopes to return to the player he once was, but given the fact that he’s had three surgeries on his ACL, the Giants believe Thomas will have to switch over to safety in order to continue his playing career. Thomas has not spoken publicly on if he is willing to make the move.